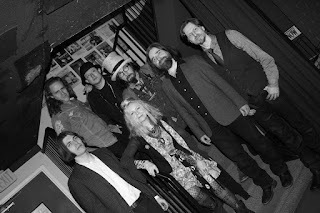 The Wire Megazine Concert Blog: SEEING SHOWS with Deb Draper June 2018 REVIEW: Slambovian Circus of Dreams featuring our 2015 Wire Award 2 time Nominees Clear Stone (Tristan, Dio and Dimitri Tadin). SEEING SHOWS with Deb Draper June 2018 REVIEW: Slambovian Circus of Dreams featuring our 2015 Wire Award 2 time Nominees Clear Stone (Tristan, Dio and Dimitri Tadin). Serendipity, is an occurrence and development of events by chance in a happy or beneficial way, and that pretty much describes how I met The Slambovian Circus of Dreams in 2015, as well, how Hugh's Room Live was revived. For the full concert review click on over to www.SeeingShowsWithDebDraper.com and rewind back 1 issue here.